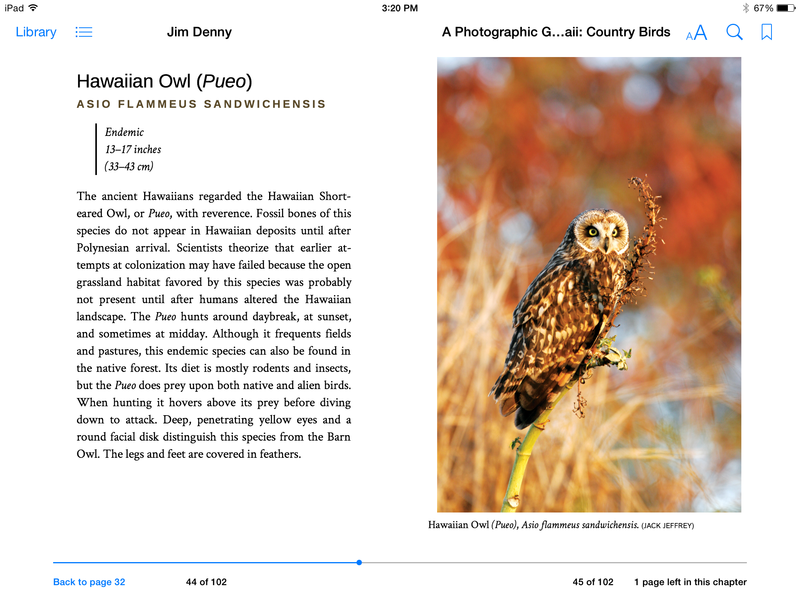 Newly updated and available in digital format for the first time, these five exciting ebooks based on Jim Denny’s popular A Photographic Guide to the Birds of Hawai‘i feature captivating video and audio resources, as well as up-close images of Hawai‘i’s spectacular bird species. Readers can now experience the incredible diversity of Hawai‘i’s birds in stunning detail via tablet, mobile device, or e-reader. 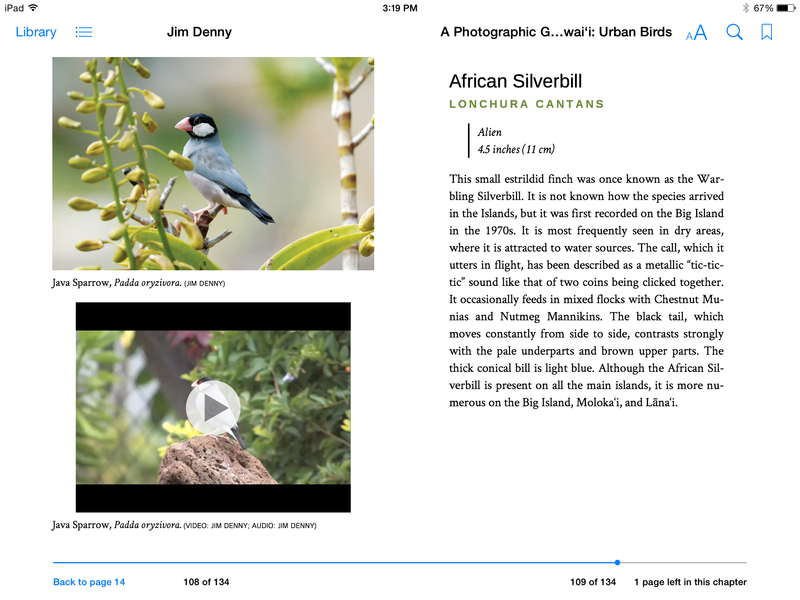 Video content is available on ebooks bought in the iBookstore for iPad, iPhone, iPad Touch and Apple computers running OS X Mavericks version 10.9, and on ebooks bought in Amazon’s Kindle store for the latest generation Kindle Fire (except 1st generation), Kindle Fire HD, iPad, iPhone, and iPod touch devices. This entry was posted in digital publishing, e-books, general interest, guide book, Hawaii, natural science, New Release, outdoor recreation. Bookmark the permalink.